To be honest sitting at a desk is not usually my favourite way to spend the day. Not just because of the slow and clunky PC I’ve got (it needs a calendar not a clock on it), but because Spring has sprung and it looks pretty good out there. Recently though, I have been wearing down my fingertips on the keyboard and it’s not been half bad. The reason for this is that I am co-editor of a book about Catterick Conservation Group, the History of Catterick Training Area, the Garrison and generally, all things Catterick. Dotting the i's and crossing the t's on thousands of words (thirty-four thousand to be precise) might not seem very appealing, but there is profound satisfaction to be gained from correcting a typo or weeding out a musprunt (!) which has hitherto been hidden away in a long paragraph of text. Anyway, I tell you this not to show you how sad I am but to announce that there is a book coming out in the near future which looks at the history, the archaeology, the ecology, the geology, and the development of Catterick Training Area, the Garrison and the surrounding villages (see some pictures below). It‘s a tribute to the numerous colleagues on the Catterick Conservation Group who have given their time to the cause of conservation and stewardship on the MOD Estate as well as a marking 100 years of military training at Catterick. It will, as they say, be available in all good bookshops and I will let you know when in a future blog. 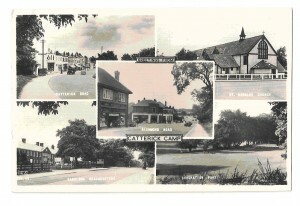 A Catterick Garrison postcard c.1964. Moving on, not so long ago I attended the annual Current Archaeology Live! conference in London. 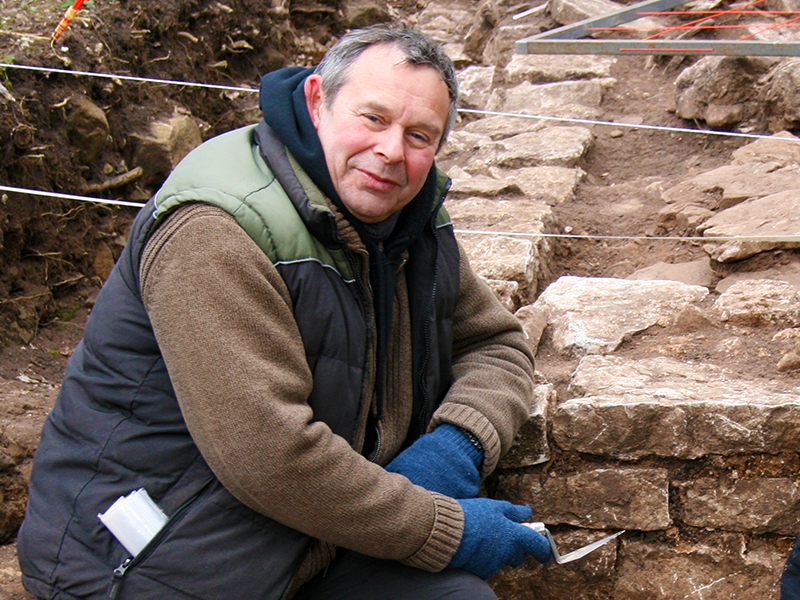 An Operation Nightingale project based at Caerwent had been nominated for an award. Operation Nightingale is an ongoing project which sees injured service personnel assisting in archaeological digs on DIO land. Sgt Diarmaid Walshe, Dave Hart (a former soldier who was wounded in Afghanistan) and myself gave a joint lecture to the 300 or so delegates. I am too overwhelmed by modesty to say how successful it was, but judging by the applause and questions I think it went down well. We were also one of the Runners Up in the Research Excavation of the year award. Not bad for a bunch of jobbing archaeologists, soldiers and students! To everyone who took part at Caerwent - you know who you are. Thank you and well done!